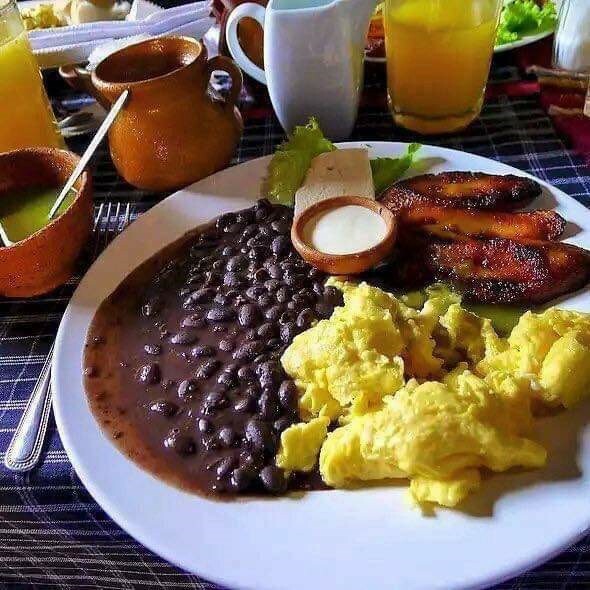 The most important meal of the day for Guatemalans is the “desayuno tipico” or typical breakfast, it is a heavy meal but super delicious. 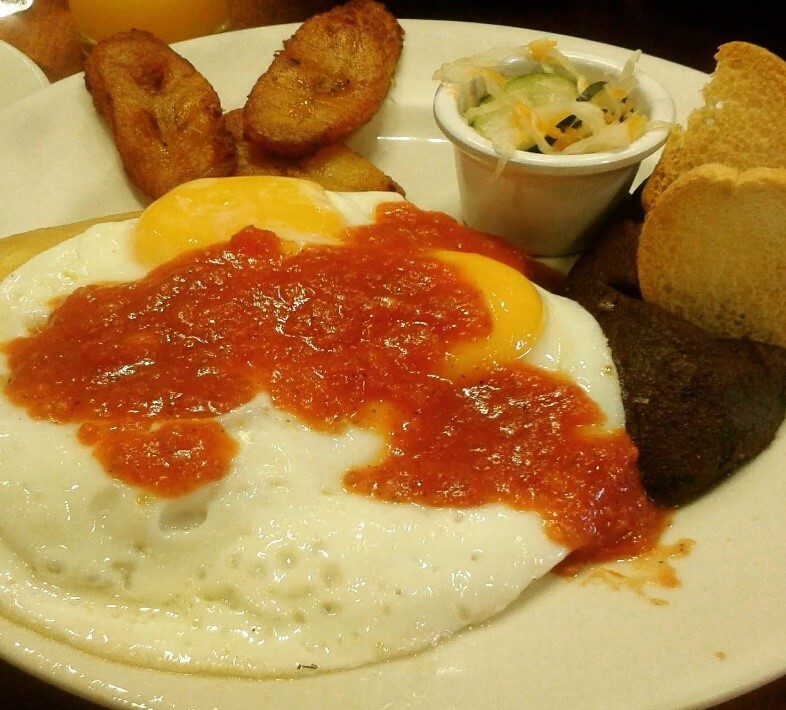 Now, there are different versions of the Guatemalan breakfast, but the base is eggs, beans and plantains but…. Huevos con cebolla o tomate: These are scrambled eggs, cooked with “Pico de Gallo” that is tomato, onion and bell pepper. Huevos rancheros: This is believed to be from a Sephardi heritage, the traditional way of making these eggs is like the “shakshuka” eggs made in Israel. 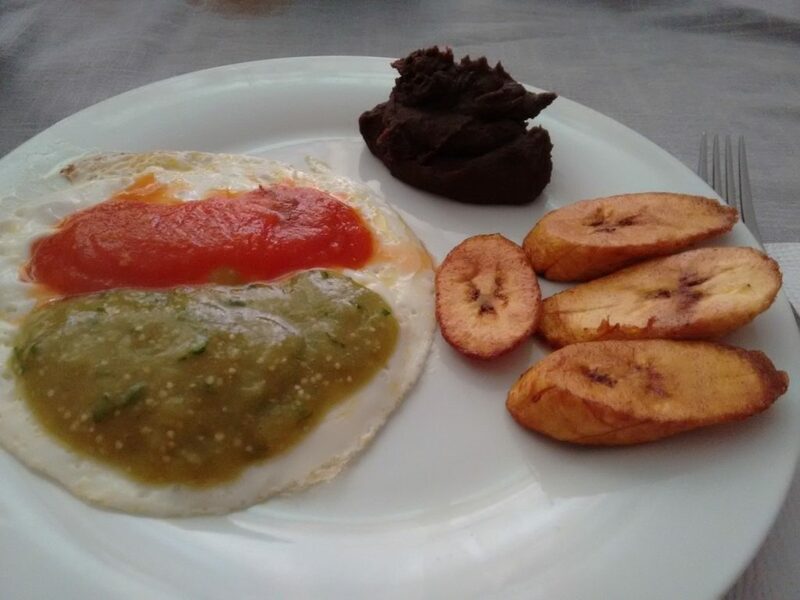 Guatemalan original “huevos rancheros” are made in the same way. In a skillet with a tomato, garlic and onion sauce and poached eggs. Huevos divorciados: The divorced eggs is from Mexican influence; two friend eggs are topped half in red and half in green tomato sauce. This breakfast is normally served for a special occasion, like Christmas and to celebrate after some of the catholic rituals happening in the morning like baptism and first communion. Although, this breakfast is popular in any occasion, like no special occasion at all.! 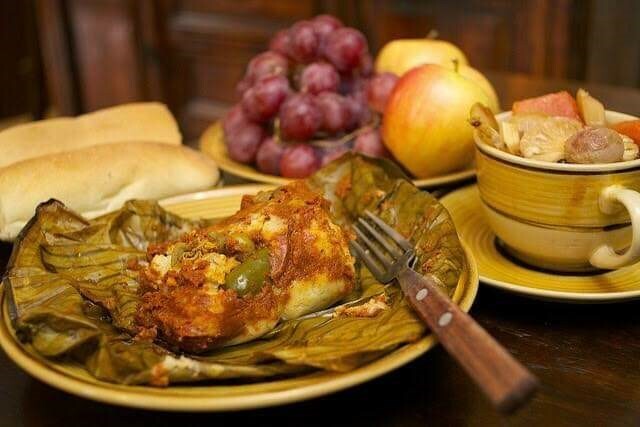 The fancy tamales are decorated with capers, olives and dry plumbs. The tamale is wrapped in banana leaf. Normally served with hot chocolate, coffee or Atol (sort of thick and hot drink), others serve arroz en leche, (Rice pudding that is a bit watery) and hot fruit punch for the Christmas tamale. This entry was tagged Breakfast, Desayunos, Guatemalan.